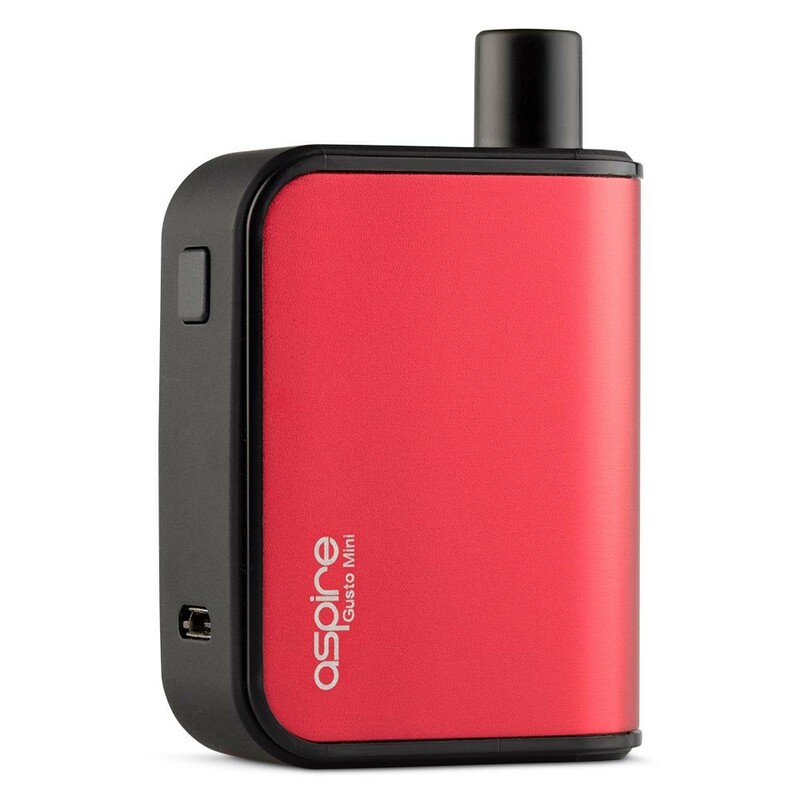 A collaboration between innovative supplier Aspire and e-liquid experts Element, the Aspire Gusto Mini Pod system is an easy-to-use all-in-one device and a satisfying alternative to cigarettes. The Aspire Gusto pod system continues a back-to-basics trend in the vape world, with a device which is both extremely easy to use and can also effectively satisfy nicotine cravings. Key to the Gusto’s attraction for vapers is its ease of use. Tap the button five times to turn it on or off, or once to vape - and that’s it. 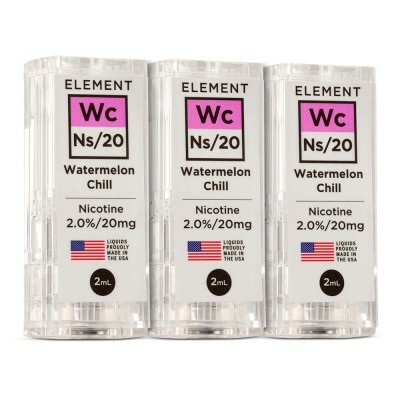 There’s no need to refill (although you can if you want) and no need to mess around with coils. One key reason we selected the Aspire Gusto over other pod systems is the battery capacity. Coming with 900 mAh of battery, it should last most users for a day or more, and can be re-charged in an hour. The Gusto is also compact. Weighing just 60 grams before the pod is installed, it easily fits in the palm of your hand, and is ideal for the discrete vaper who doesn’t want to draw attention. The Gusto works with pods. These pods are pre-filled with e-liquid, and you’ll simply need to remove the silicone wraps before clipping them into the Aspire Gusto. As with other vapes, you’ll need to leave it five minutes to soak into the coil before using it. 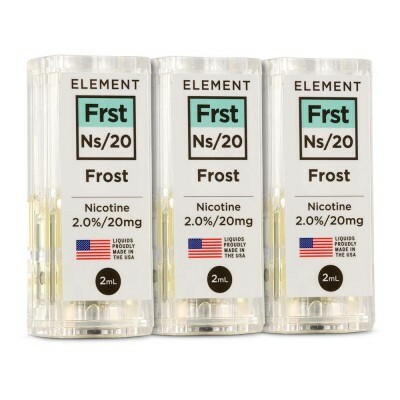 Replacement pods can be ordered here but can also be refilled several times. 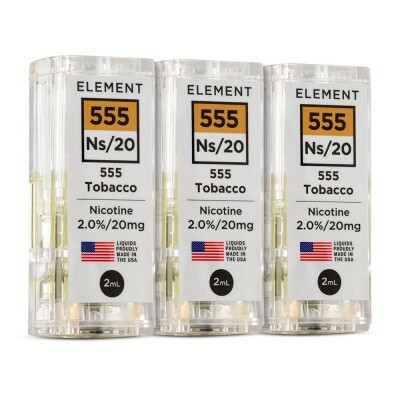 Element pods come with nicotine salts. 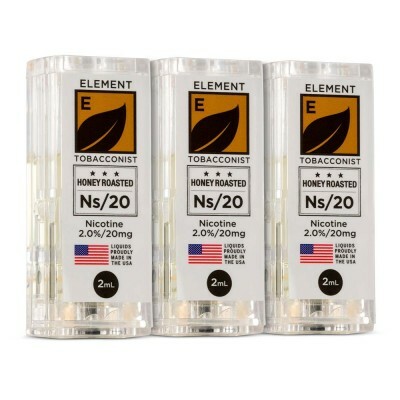 These deliver nicotine more effectively than other vapes without being harsh on the throat. As a result, many vapers find them more satisfying than the nicotine in other vape liquids, and it may be more effective than other vape devices for heavy smokers. You may also find that you don’t need to vape as often due to the increased nicotine hit. If you are vaping nicotine salts for the first time, it may be worth starting slow in order not to get too much of a nicotine hit. It’s not right for vapers who prefer powerful devices which can produce lots of vapour, or for people who need less nicotine.